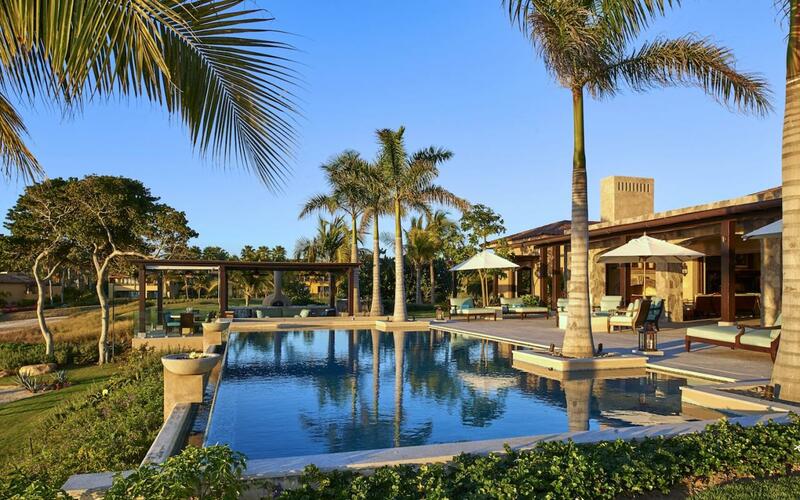 Named after the Swahili word for “place of miracles,” Villa Singita is a magical oceanfront property with every amenity for an indulgent vacation. 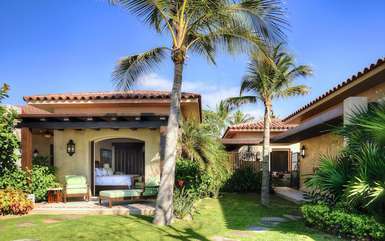 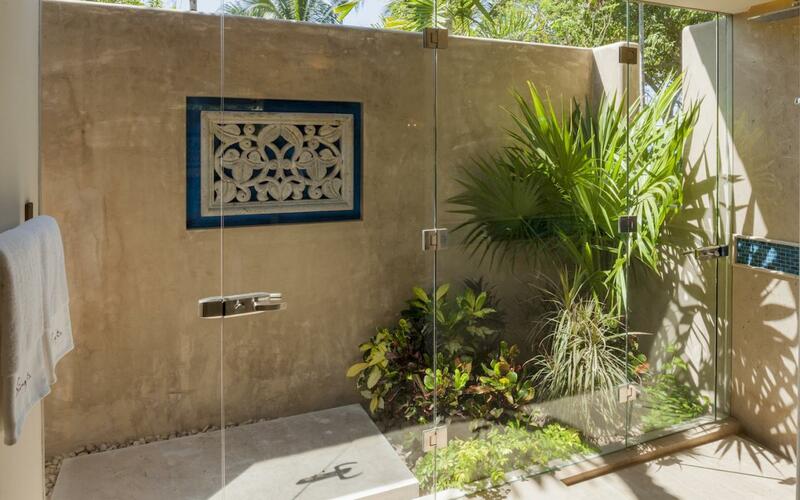 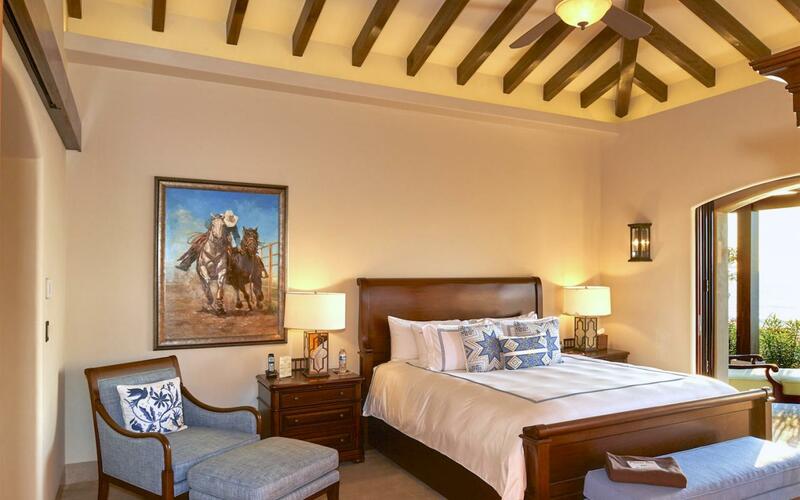 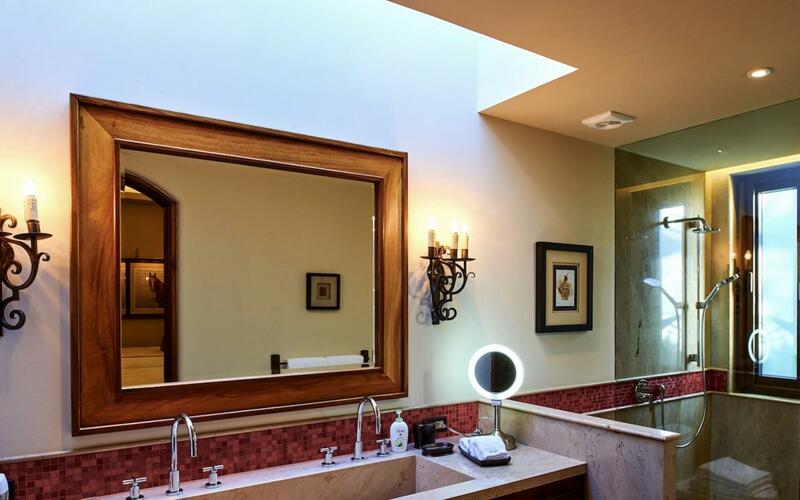 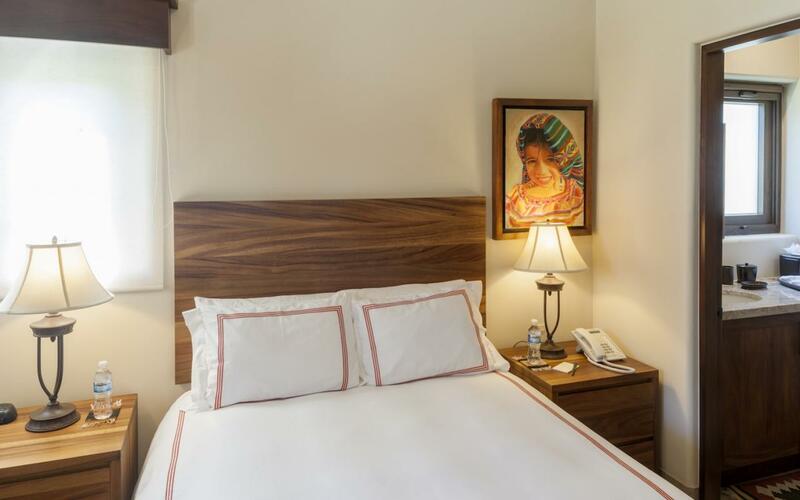 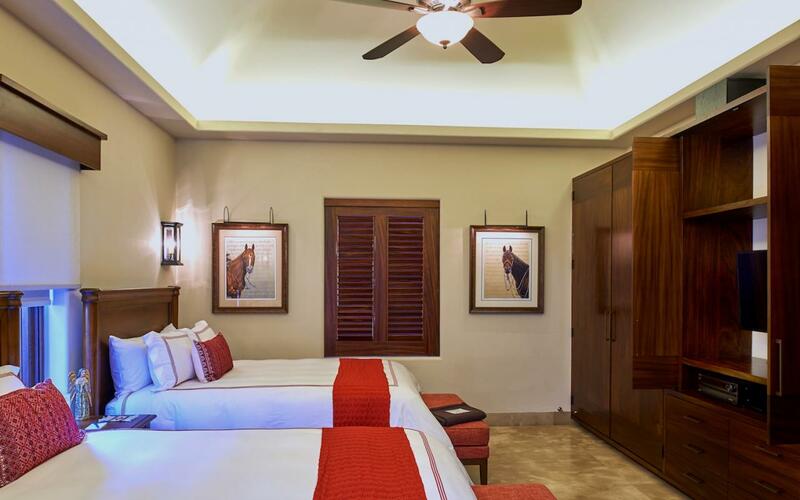 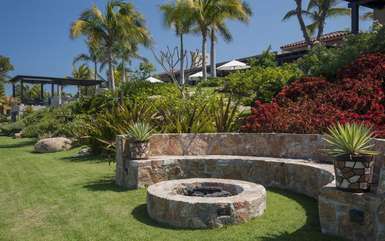 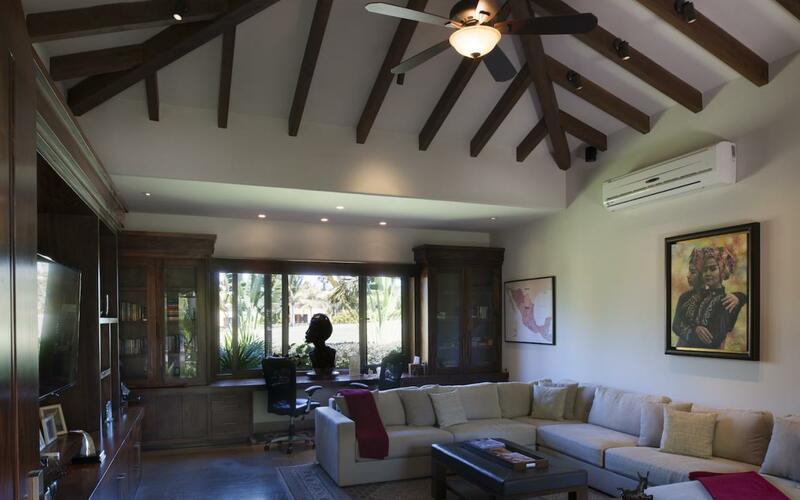 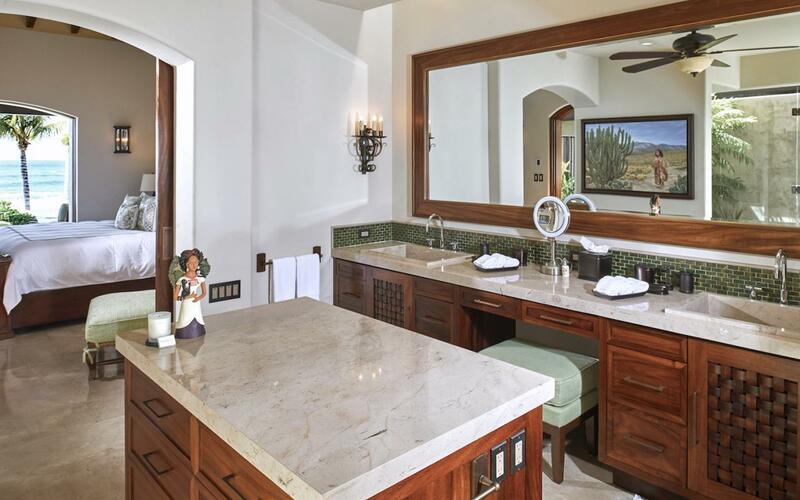 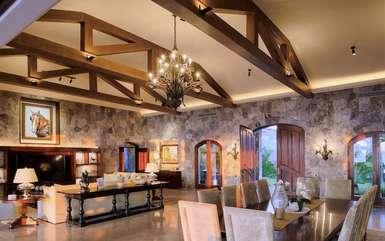 Built in the Hacienda style traditional to Mexico, the open-concept villa is split into two parts: one dedicated to luxurious bedroom suites, and the other to spacious common areas. 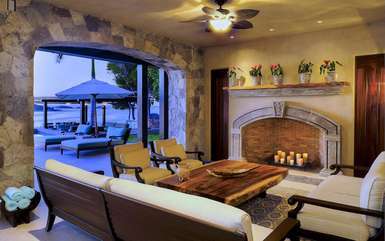 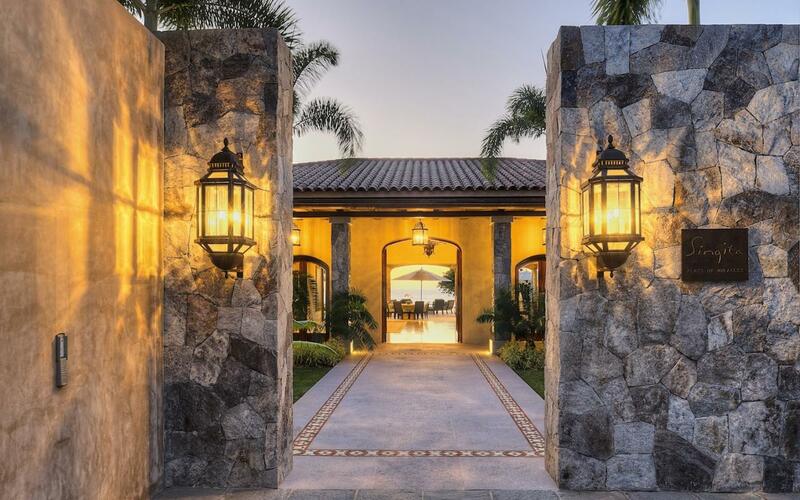 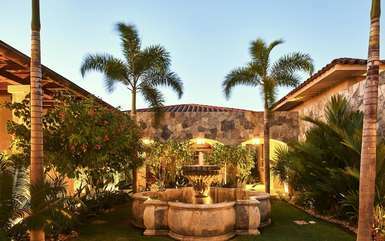 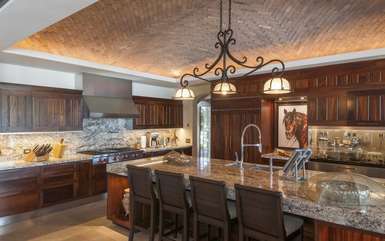 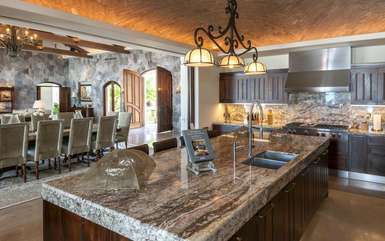 Upon entry through a romantic, fountain-adorned courtyard, the spacious living and dining area provides a grand introduction to the rest of the home, outfitted in marble and stone and gorgeous wood finishes, with sweeping ceilings and tasteful furnishings. 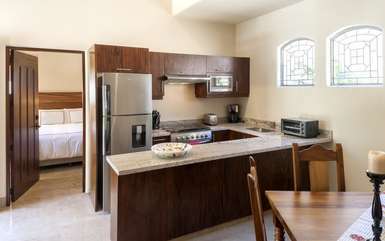 The kitchen is equipped with state-of-the-art amenities, a pizza oven, and spacious counter space for even the most discriminating home chef. 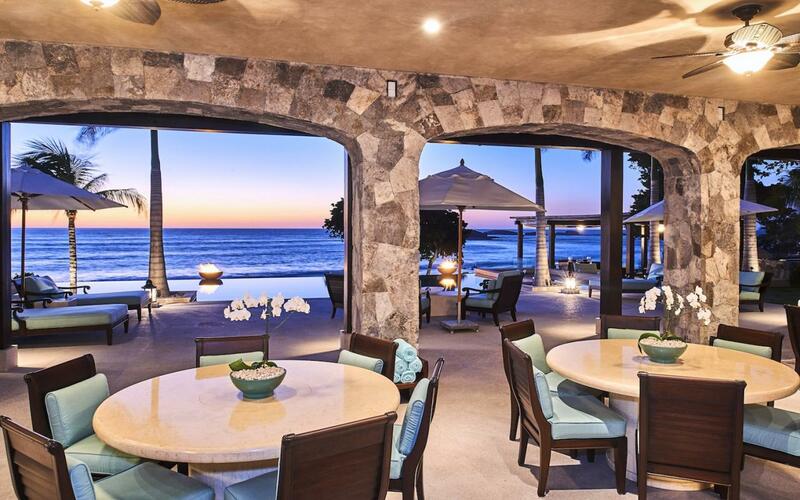 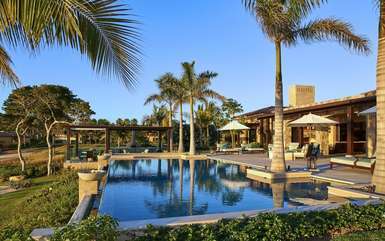 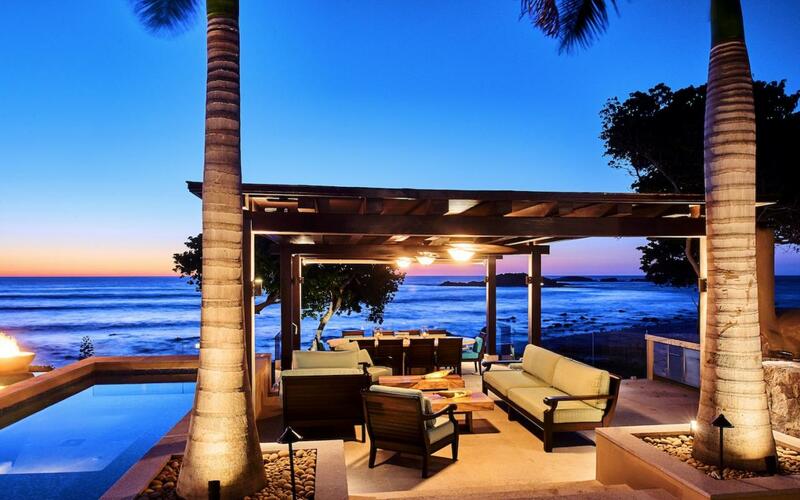 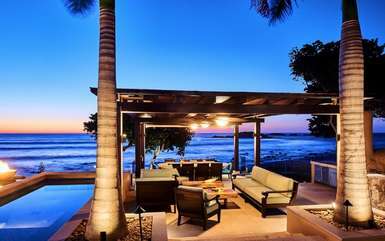 Outside, the al fresco covered living area offers additional dining and lounge space overlooking the serene infinity pool and the Pacific ocean beyond. 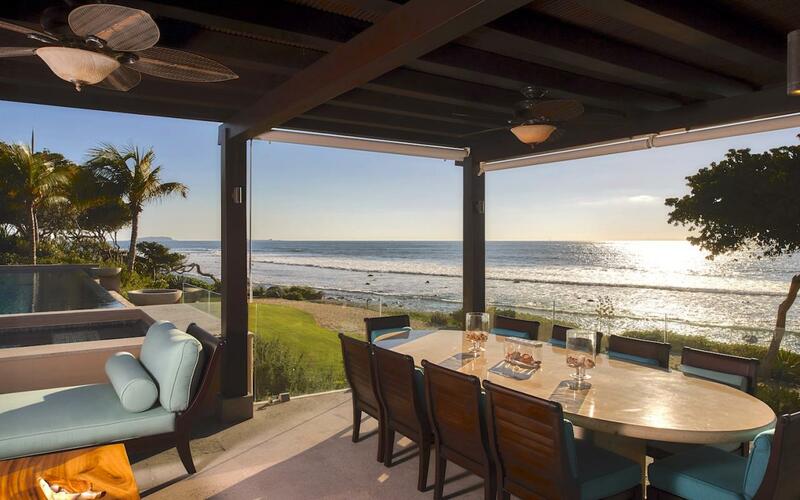 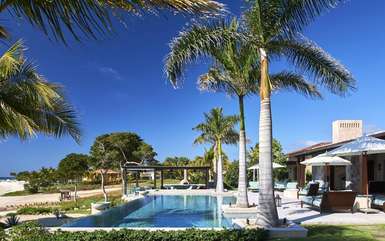 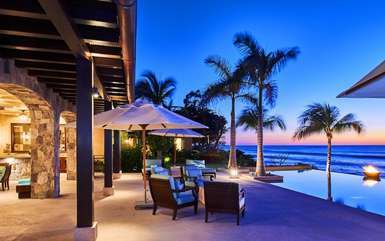 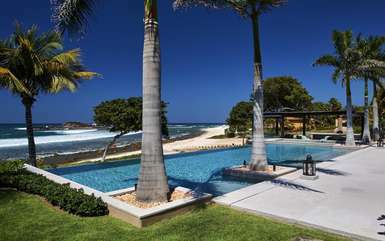 The home makes excellent use of the tropical landscape, with plentiful areas for enjoying the sea breeze and ocean views any time of day. 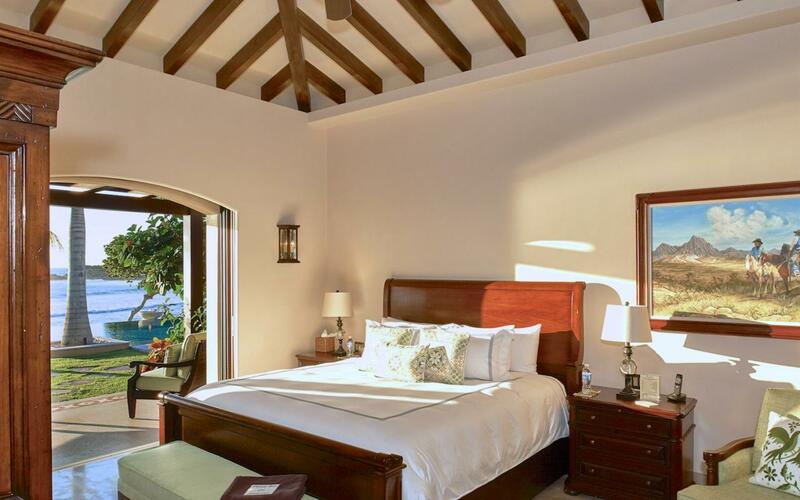 Each of the bedroom suites is appointed with an en-suite marbled bathroom, luxurious furnishings, hotel-quality toiletries and bed linens, and air conditioning, plus garden or ocean views. 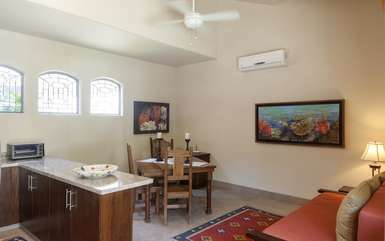 There is also a separate on-site casita, with a living room and kitchen, perfect for teenagers or nannies. 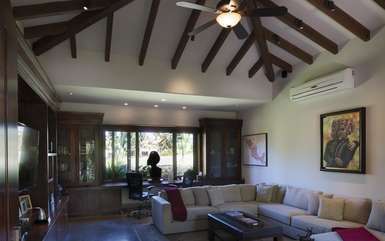 The home boasts a fitness room with state-of-the-art equipment. 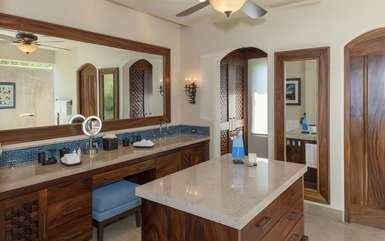 The villa is equipped with WiFi and satellite television, along with daily housekeeping and 24/7 security.